Is gender inequality still on the margins? Is gender inequality still on the margins? Is gender inequality still on the margins? 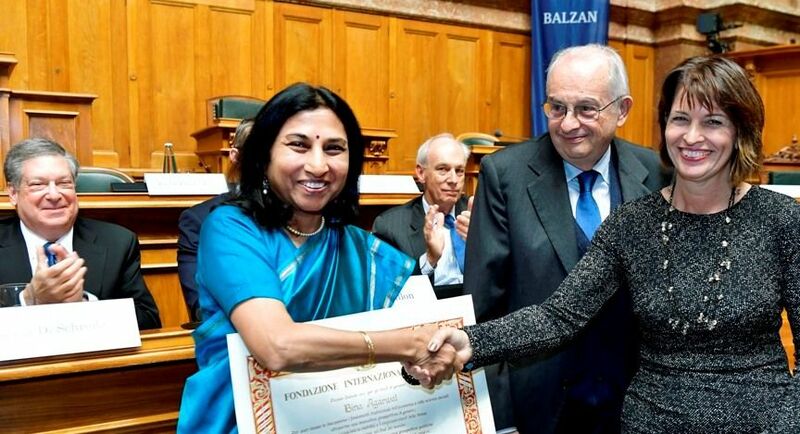 Professor Bina Agarwal was recently presented with a Balzan Prize for her work on gender and development. “When I began my research career some forty years ago, rather little attention was paid to economic inequality in general, and gender inequality in particular. Today, overall economic inequality has moved to centre stage, but gender inequality remains largely on the margins of most research and policy. Yet it is perhaps the deepest form of persisting inequality we face today, especially as it intersects with the inequalities of class, caste, and race. And it adversely affects not just a country’s economy but also its social and political fabric. Indeed, gender inequality is embedded in all our major institutions – the family, the market, the community, and the state. This was the first time that a Balzan Prize had been awarded for gender studies, which will hopefully spur further advances both within academia and across wider society. Read more of Professor Bina Agarwal’s research.